It provides comprehensive coverage of new developments, technologies, legislation and role players in the waste and environmental protection sectors. 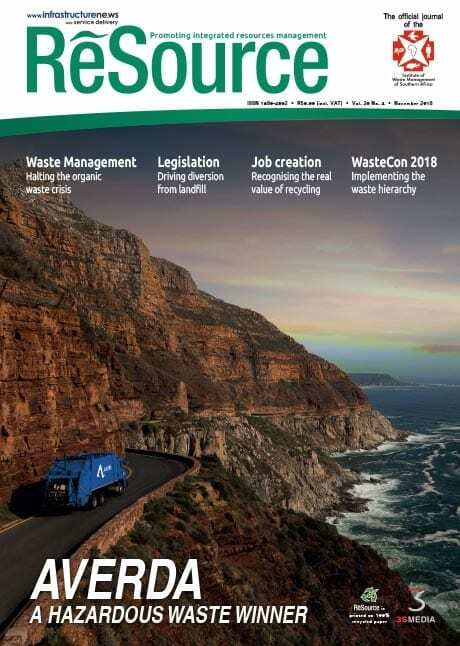 It is the official magazine of the Institute of Waste Management of Southern Africa (IWMSA) and is endorsed by 12 industry associations. Owing to the organisations with which it is affiliated, the magazine has access to up-to-date news and unique information regarding its industry. a weekly newsletter, offering a round-up of breaking news stories, upcoming events and latest press releases. 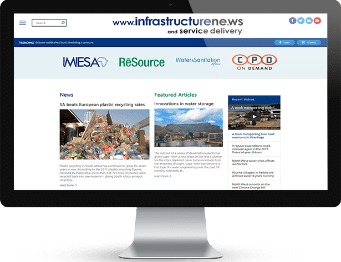 InfrastructureNe.ws brings together the communities from our three magazines – IMIESA, Water&Sanitation Africa and ReSource. It is a leading news hub, with in-depth articles, videos and podcasts, an events calendar, and full social media functionality. The ReSource weekly newsletter provides an instant summary of the latest news, events and developments in the resources and waste management industry. It is delivered to the inboxes of key industry professionals, making it a powerful tool for advertisers. If you or the company you represent are a supplier of products and services to the resources and waste management industry, and want to be included in our readers’ purchasing decisions, then this is the perfect magazine for your advertising needs. • The print magazine creates brand awareness and is mailed to key industry players. • Weekly newsletters offer direct marketing to individual mailboxes of key industry professionals. • Websites provide a searchable presence, create brand awareness and elicit responses. © 2019 Novus Print t/a 3S Media. All Rights Reserved.